Simply beautiful, this Richelieu classic knob lends the perfect finish to any type of dicor and definitely provides a wow effect. Designed for furniture and cabinets with a classic aesthetic, this refined knob by Richelieu features a trendy finish and circular details on the head. This Richelieu knob surely add a touch of style to kitchen and bathroom cabinets. Features a classic design with unique decorative detailing. This round knob by Richelieu will enhance the dicor of your kitchen or bathroom. A classic finish and a dome-shaped head make this knob a classic. This Richelieu knob will add style and flair to your bathroom and kitchen dicor. Clean lines make this knob a classic. Traditional Metal Knob 1 1/4 in (32 mm) Dia - Antique Copper - Toulouse Collection Simply beautiful, this Richelieu classic knob lends the perfect finish to any type of dicor and definitely provides a wow effect. 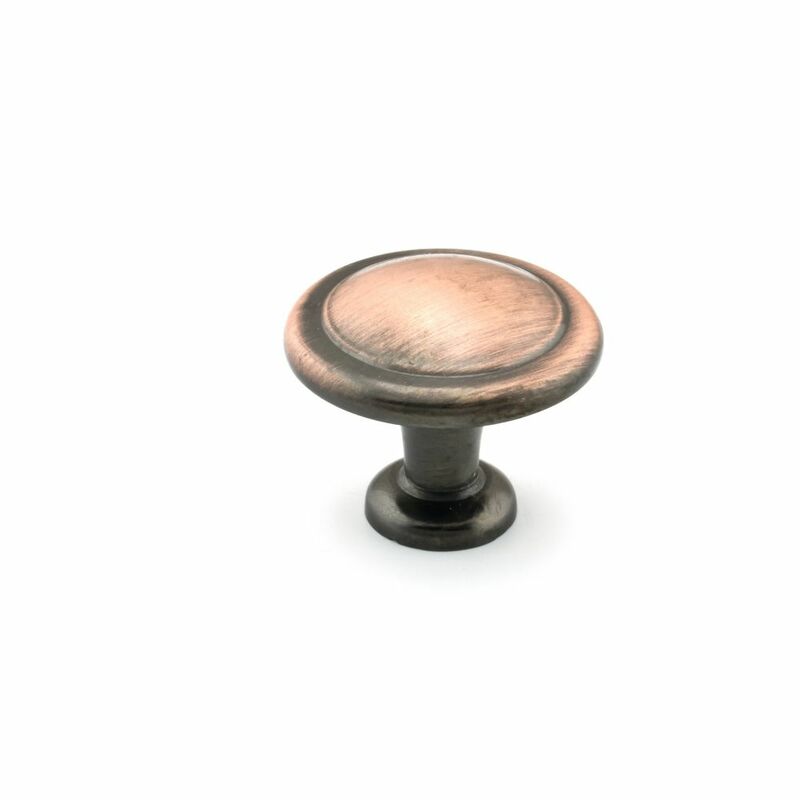 Traditional Metal Knob 1 1/4 in (32 mm) Dia - Antique Copper - Toulouse Collection is rated 5.0 out of 5 by 1. Rated 5 out of 5 by Denise from Love them. They were a little expensive but we'll worth... Love them. They were a little expensive but we'll worth the price to see them on cabinets.